I've been working on a HUGE project that I will reveal soon. (If you're particularly observant and reading this from my blog rather than over email or a reader, you may have already noticed the first stage!) As part of my project, I've been using my beloved PicMonkey to make graphics for each of the 50 state flags. In the process, I've learned a lot about each of the flags and thought it would be fun to put together some trivia for you. 1) What is the only state flag that has two different designs on the front and the back? 2) What is the only state flag that is not rectangular? 3) What state has been using their current flag design for the longest amount of time? 4) Which state redesigned their flag most recently? 5) Which state flag is the only one with blood as part of the design? 6) What is the only state flag that has stars representing its order of admission to the US? 7) What state flag was voted as the best designed flag among all states, territories and Canadian provinces? 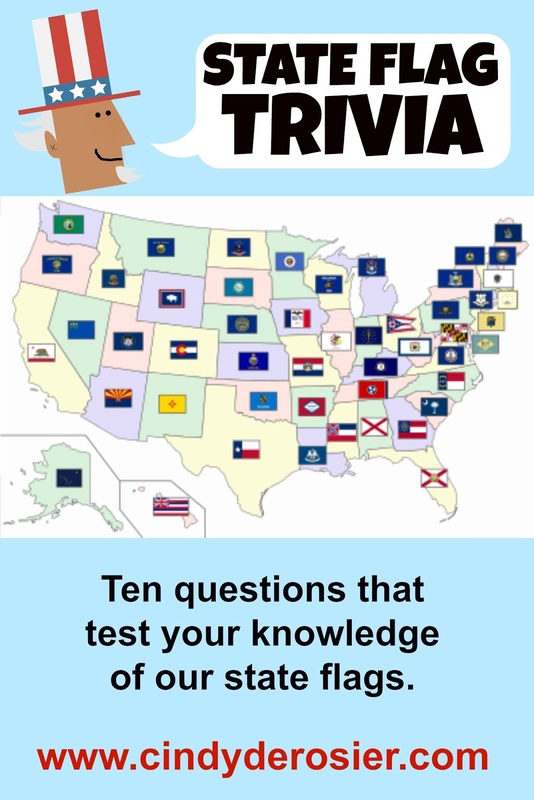 8) Which state flag is the only one to feature a president on it? 9) Which TWO states have ensigns (flags for use at sea) that differ from their standard flags? 10) Which state flag was designed by a 13-year old boy? 1) Oregon is the only state flag with different designs on the front and back. 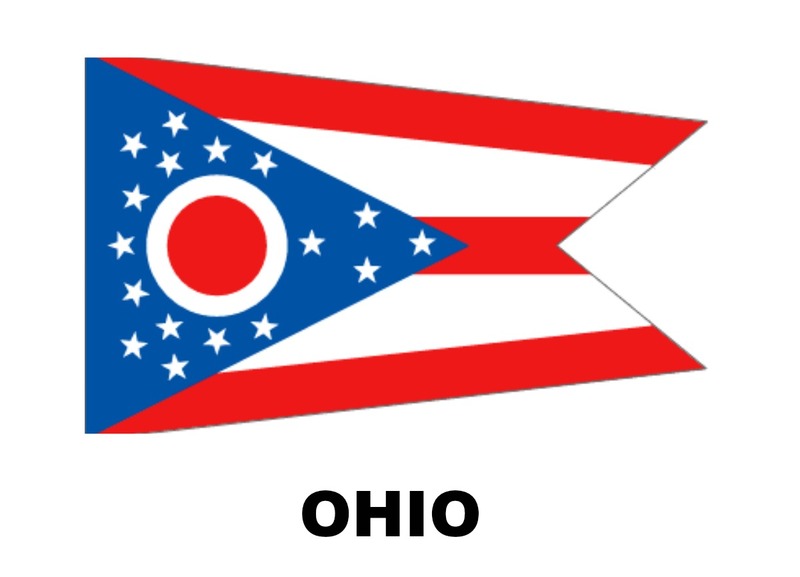 2) Ohio is the only state with a flag that isn't rectangular. 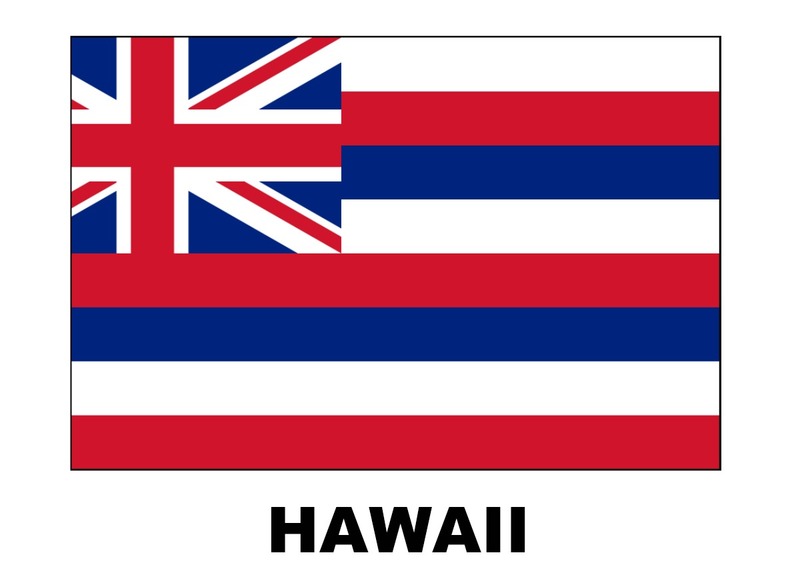 3) Hawaii has been using their flag since 1845 - long before statehood! 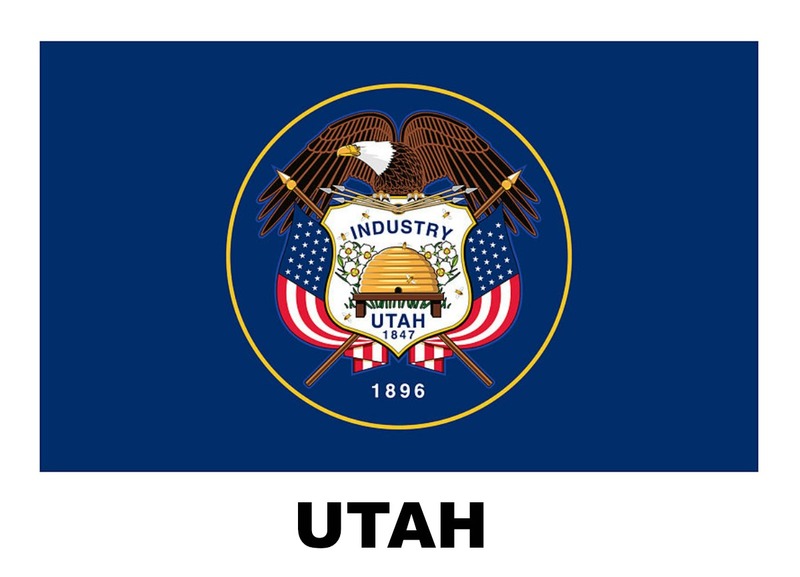 4) Utah redesigned their flag most recently, in February 2011. 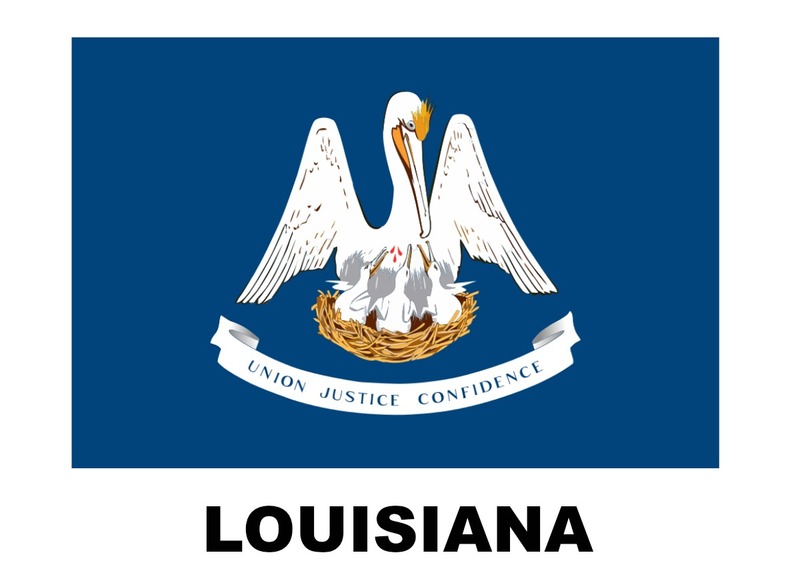 5) Louisiana has the only state flag with blood as part of the design. 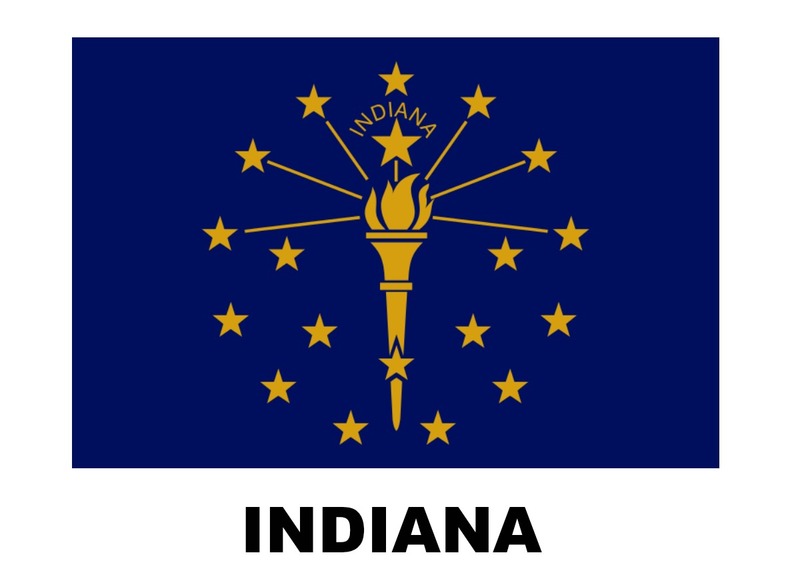 6) Indiana has 19 stars, representing the fact that it was admitted as the 19th state. 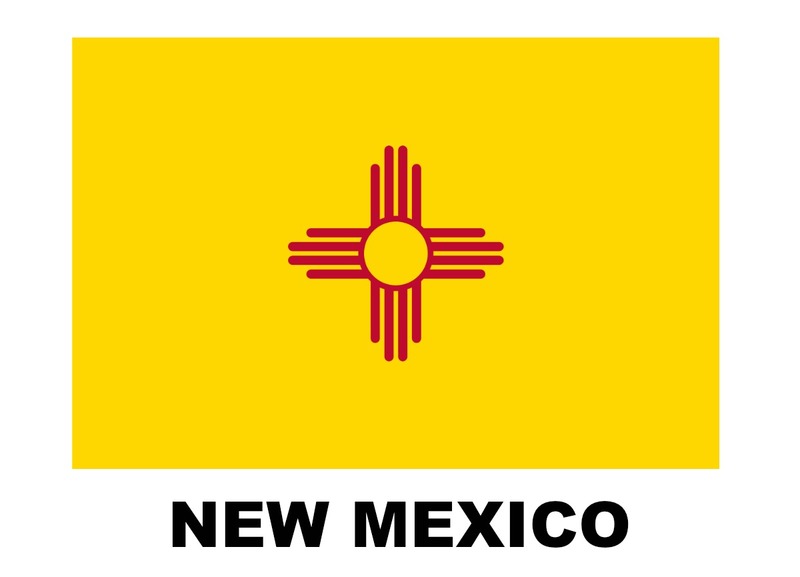 7) New Mexico was voted as the best-designed state flag in a 2001 survey. 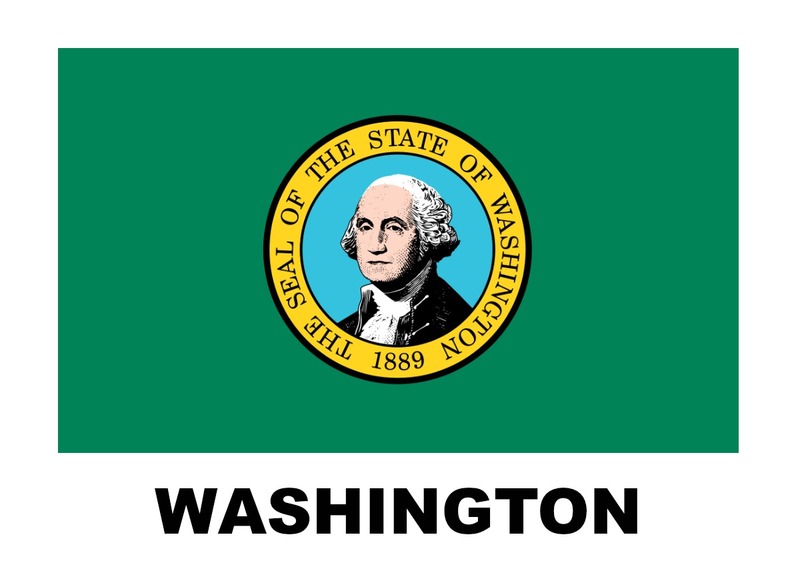 8) Washington's state flag is the only one to feature a US president. 9) Both Massachusetts and Maine fly a different version of their state flags when at sea. 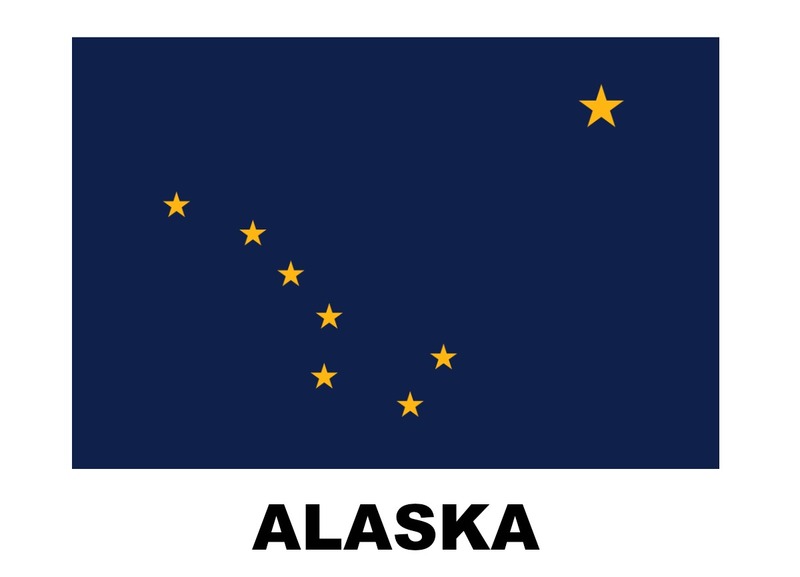 10) The Alaskan flag was designed by a 13-year old boy. How did you do? A week ago, I would have gotten two for sure and possibly two more. Let me know in the comments how many questions you got right out of ten! When you click on the one flag you've pinned, it will bring you back to this page. But it's not a bad idea for me to create a more useful graphic that will remind folks about this trivia. I'll do that! How fun!!!! I loved learning these facts!!!!!!!!!!!!!! We actually several of the same questions. Great minds think alike!